Nextel International wanted to highlight their differentiating feature through a common treatment as they expand their carrier base. 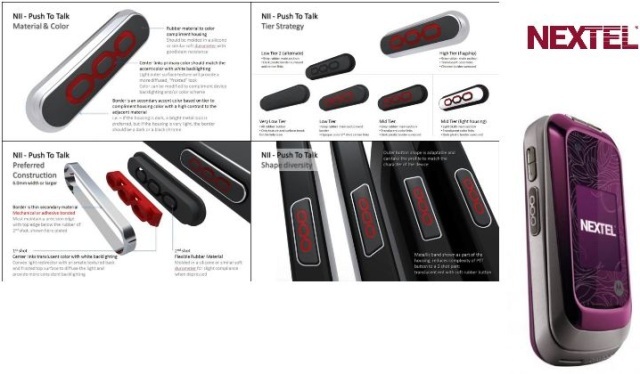 Vento began with an ergonomic evaluation of Push To Talk buttons and provided recommendations for the best look and feel in collaboration with a third party expert in Human Factors. In addition to the design guidelines, Vento visited manufacturers in the US and China to work through many of the engineering and manufacturing challenges to achieving commonality.